In 2008 I did a mini-blog-series about four directors who's were creating an impressive body of worker and had 2008 films worthy of Oscar consideration. Those directors were David Fincher, Christopher Nolan, Darren Aronfsky and Edward Zwick. When I wrote about these directors, I talked about them "joining the club" and that if there respective films (The Curious Case of Benjamin Button, The Dark Knight, The Wrestler and Defiance) were embarrassed, that they might land a spot in the best director race, affirmed as one of the best by the establishment. In 2008, Fincher was the only one nominated of the bunch. Interestingly, all four of those directors all had films with some buzz behind them this year with The Social Network, Inception, Black Swan and Love & Other Drugs. This year, Fincher returns to the Oscars with his second nod and Aronofsky receives his first. Christopher Nolan is considered a surprise non-nominee, and Edward Zwick fell off the radar pretty quick after weak support for his effort this year. All this back story to say that early on at the beginning of award season, Fincher's The Social Network seemed to be the favorite film, and Fincher would be riding it's coat tails for an Oscar win. But after the momentum behind The King's Speech has picked up (not to mention it's 12 nominations), it seems to be consensus that the King George VI biopic will win over the Mark Zuckerberg biopic. Yet, it's hard to say if Tom Hopper, director of The King's Speech, is going to be taking home the Oscar. I wouldn't say a Tom Hooper win is unlikely, but there's a place in my gut that questions whether he has enough clout, or overwhelming love for the film, that will guarantee him the Academy Award win. And it's here in this dilemna that I imagine David Fincher winning the directing Oscar, while The King's Speech under Hooper's direction wins best picture. And needless to say...Fincher & Hooper's co-nominees this year (Aronofsky, David O. Russell, and the Coen Brothers) need not spend much time preparing their speeches. This either Fincher or Hooper's race to lose. And the question still lingers...when will Christopher Nolan join the club? Though Fincher is my favourite of the lot (ashe was in 08) I'd have no problems with a Hooper win. I hope he doesn't win, though, because the backlash will be terrible. 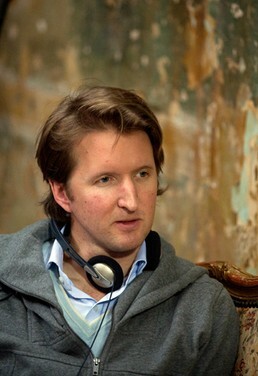 @ Andrew - Tom Hooper backlast if he wins - for sure! Not to mention the pressure for his next feature...through the roof!